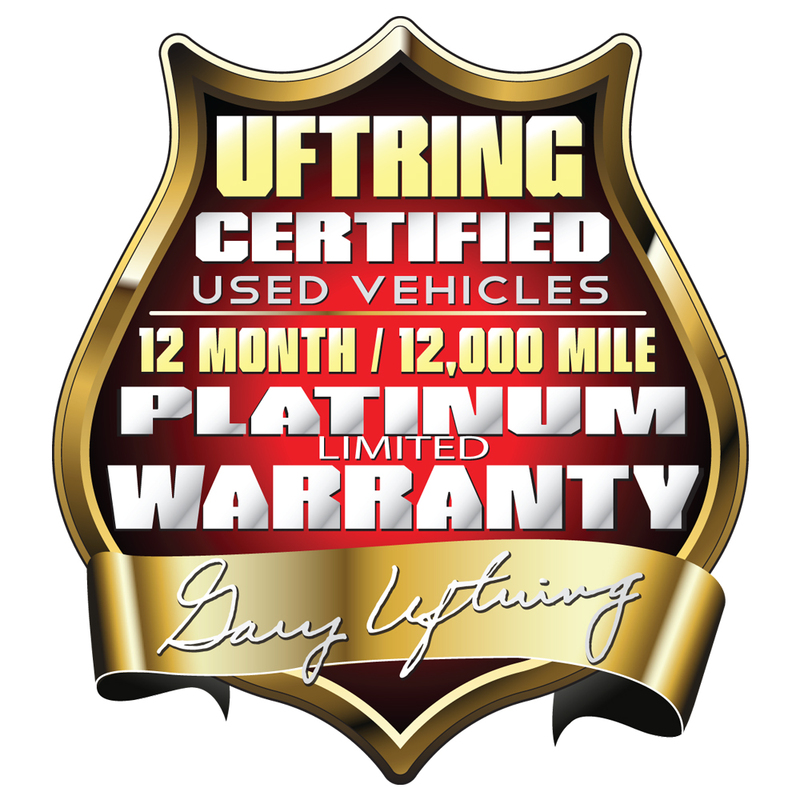 Introducing the Uftring Certified Used Vehicles 12-month/12,000-mile Platinum Limited Warranty. The Uftring Auto Group is excited to offer this limited warranty to our customers on select used vehicles that meet our highest standards. You get peace of mind knowing that each of our certified used vehicles must go through a strict evaluation process that includes a comprehensive vehicle history as well as a comprehensive vehicle inspection. And your coverage doesn't stop at Peoria, East Peoria, Washington, and Pekin. 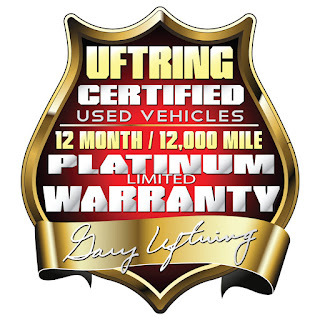 The Uftring Certified Used Vehicle Platinum Warranty coverage is effective anywhere in the continental United States of America, Alaska, Hawaii and Canada. It's the assurance you're looking for, from the name you trust: Uftring Certified Used Vehicles Platinum Limited Warranty.